We are a new outlet of Northwest Restaurant Group, a growing Hospitality Company in the Bay Area under the direction of Chef Jim Stump. 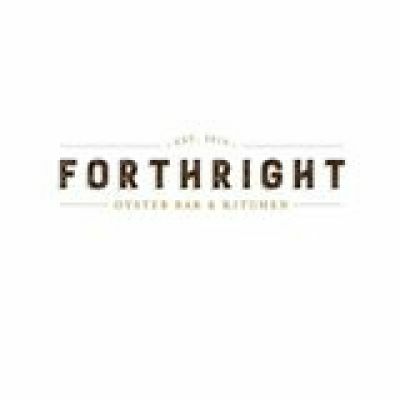 We opened The Table in the Summer of 2012 and are now excited to bring delicious food, thoughtful beverages and genuine hospitality to Campbell, California in the form of FORTHRIGHT OYSTER BAR & KITCHEN. To be 'Forthright' means to be honest, open, candid & sincere. These attributes not only describe our approach to hospitality but also our values in the kitchen. From our meticulous selection of the finest ingredients to our dedication to mastering our craft, we aim to deliver a sincere hospitality experience to every guests that enters our doors, free of gimmicks and tricks. We want all of our guests to feel as if they have just walked in to our home for a meal with friends and family. No need for pretension, no need to put-on-heirs. Please, sit at our table and share something delicious. Our cuisine is contemporary American, paying homage to the first oyster bars of the 18th century. We feature a large selection of fresh oysters, shucked right in front of you, accompanied by ceviches, crudos and pokes. When we are not highlighting the fruits of the world's oceans, we are focused on a seasonal approach to delivering contemporary American cuisine. We believe that the quality of our product begins at the source—with the farmers, ranchers, and fishermen that produce them. By establishing relationships with local farms and ranches, our goal is to understand the origins of everything we cook and seek out only those ingredients produced with integrity and care. Our culture is defined by our passion, energy & teamwork. We employ highly motivated and passionate individuals who enter our doors with a team-mentality. We value these individuals and ensure a feeling of appreciation, dedication and accountability. Ultimately we are looking for passionate and energetic individuals with a high integrity and desire to excel in the Hospitality Industry. We accept all ranges of experience but will not compromise on the values listed above. If you would be excited to work for a growing company that is passionate about food, wine, cocktails and service, we want to meet you.